This piece of sage advice applied as much to Handel in 1710 as it did to Jimi Hendrix in the late 1960s. Handel, originally from Halle in Germany, would go on to become perhaps our greatest musical import. His love for London and for England led him to become a naturalized citizen later in his life. His compositions are still played at the coronation of England’s sovereigns and for many; his work captures the early 18th century. 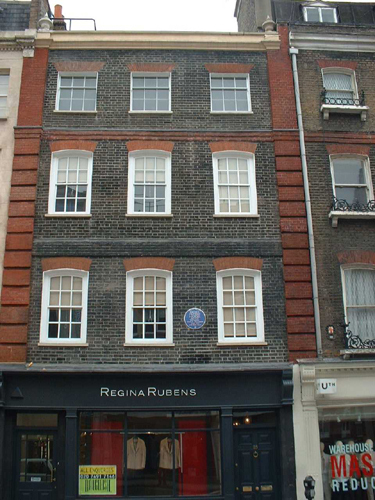 In 1723, Handel took the lease on a new building in Brook Street, Mayfair. He would live in number 25 for the rest of his life and when he died, his servant John would inherit the lease and managed to raise enough money to purchase the things in the house to keep it as it was. The house changed hands throughout the 19th century, and in 1905 was purchased by an antiques dealer, whose family would own the house until the 1970s. 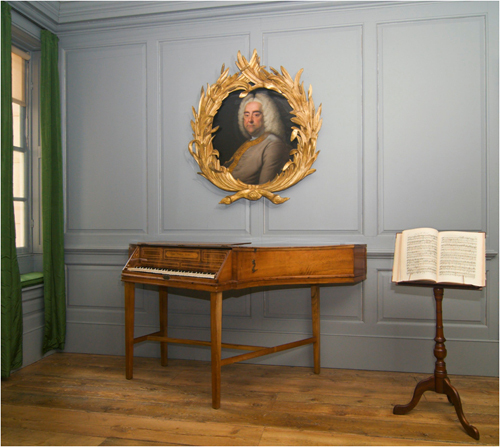 The changes he made were not entirely sympathetic and when in 2000 the Handel House Museum Trust took over the job of returning the house to how it would have looked in its first owner’s day, they faced a tough challenge. Restoration of an historic building is not just about returning the built structure to its original appearance; the atmosphere within the rooms has to be right too. Colour and furnishings are essential. 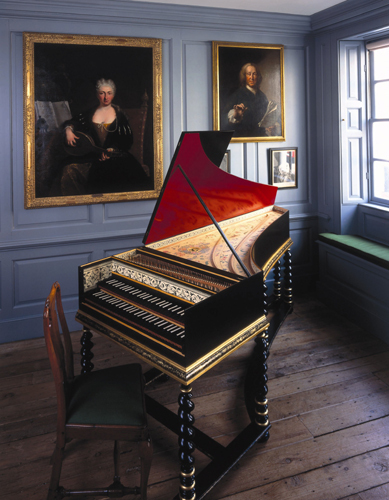 Of course, without a detailed inventory of Handel’s furniture, or a plan of how each room was laid out (these do exist sometimes, although not usually for houses as ‘modest’ as Handel’s) it is only possible to recreate a typical room setting of the period, given what is known about Handel. What it is possible to do however, is to recreate the decoration of the room. Patrick Baty owns Papers and Paints in Park Walk, Chelsea (celebrating their 50th anniversary this year). He is also a consultant on historical paint with an astonishing knowledge of historical paint colour, ingredients, techniques and London artisans. He can establish how a room once looked by examining the layers of paint and has worked on a vast number of projects over the years. Much of his work has involved early eighteenth century interiors. Samples taken of the paint from the rooms in No 25 revealed that the building had been much altered during the last 270 years. Fragments of original paint survived in three areas, which indicated that there had been an early use of grey on the panelling, with brown on the doors. A similar use of colour was identified throughout No 23, suggesting, perhaps, that the original scheme had been a speculator’s finish. It is this grey that has been reintroduced. It seems strange that colour can be so crucial in recreating a period ‘feel’ to a building, but as I have come to learn through Patrick’s work, it is just as important as any of the other tools used to create the right atmosphere, in either private homes or public spaces. I think the pictures make it clear how successful the reintroduction of the original colour scheme has been for the Handel House Museum. The museum is one of London’s hidden heritage gems: go and have a look. It’ll surprise you. The atmosphere is lovely. Even better, if you go later this summer, you can also visit Jimi Hendrix’s flat in the adjoining building as part of the Hendrix in Britain exhibition. Many thanks to the lovely people at the Handel House Museum for their help and permission to use the images in the gallery. For more on exactly how Patrick uncovers old interiors, and exteriors for that matter visit his blog, or follow him on Twitter. Incidentally the paint colours were specially mixed by Papers and Paints. 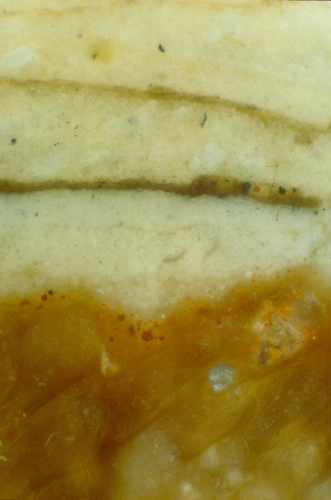 The grey colour seen in the interior photographs is known as PP6/3/08LKB and can be obtained from Papers and Paints. Click for more information on what Patrick Baty does. I have just discovered your fascinating blog through Dr Susan Gordon's twitter feed, and I will add a link on my blog. By the way, the images on this particular post seem to have disappeared…? 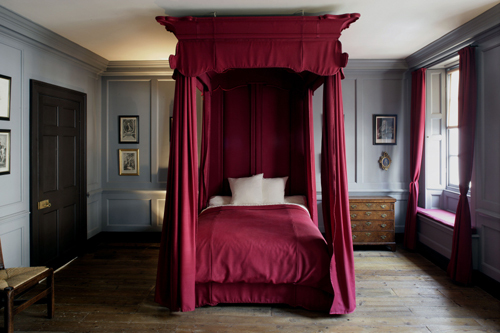 Fascinating post – the colour scheme of the bedroom really challenged my ideas of the décor of that period.